I had an install issue with Nest thermostats. 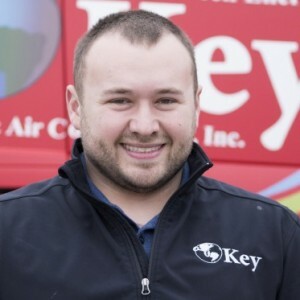 Key was fast and professional with an easy solution ! I would recommend Key without hesitation. First time using Key HVAC. Keith is an expert in his field and very professional. Email updates for appointments were sent out, which is convenient. On time, professional and did a great job. Answered all of my questions as well. 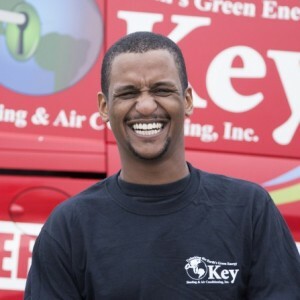 Keith was the best heating repairman I have ever used. He answered all of my questions and thoroughly checked my entire furnace and explained everything to me. Very polite, clean and knowledgeable. I highly recommend this company and Keith. Walter did nice work. Early and no issues. Thanks again. Excellent service and knowledge base. I have used Key exclusively for the last three years and have no complaints. Work is always done to expectation and the employees are professional and friendly. The service went well and the technician was very helpful. We did have an unexplained and strange experience later that day. Late afternoon a loud whittling noise started, which at first we thought was in the kitchen area, but it turned out to be the furnace. The whistle stopped when I turned off power to the furnace and didn't reappear when I turned the power back on, but neither did the heat. I waited for over an hour before calling your emergency number but I canceled the call when the heat suddenly came back on and has worked normally ever since with no whistle. I have no idea what happened here and why we lost heat for over two hours, but thankfully everything seems OK now. Very helpful easy to understand when he is explaining our ac system. Nice enough to have my husband call him later and explain. It again to him. Would use KEy heating and air again and I would ask for Richard C. to be sent out. Walter is very knowkedgable about the geothermal systems. 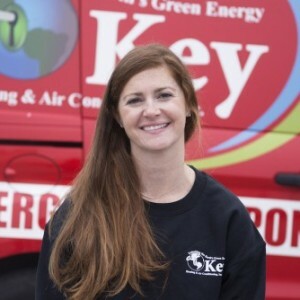 Key Heating & Air Conditioning is an exceptional business. They have serviced my geo-thermal heating system since I purchased my home a year ago. In particular, I have high praise for Walter, the technician who quickly diagnosed a part issue when I lost my heat last winter, and the issue was quickly resolved. I would recommend them highly! 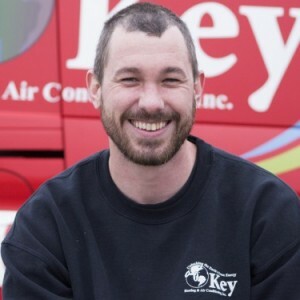 Keith was on time, worked efficiently and was very knowledgeable. He took time to explain our system and gave us suggestion as to how we can get the most out of it. A very reassuring presence. Very pleased with his work. Thanks to all involved. Al was thorough, friendly, and very informative. I have been dealing with Key Heating for several years and I don't know what I would do without them. They are professional, helpful and I can now heat and air condition my house very economically. I would recommend them to anyone who would like to pay less to stay warm or cool. My furnace had not been serviced in a few years. Keith did a great job with my annual service and also was able to quickly resolve a balancing HVAC issue. Thanks. Walter always does an excellent job. Thank you. I have had somewhat mixed results with Key Heating; some good, some not so good. My last experience with Richard was one of the positive ones. It's not the quality of the service that I've had problems with, its the communications within the company that have left me frustrated, to the point where I've considered looking for someone else to provide my service requirements. However, Richard has left a very positive feeling with me and hope this is a move in the right direction towards better communications.